I was picked up by my general physician who recognized that I might have an under-active thyroid; when the test came back positive I was flabbergasted as I didn"t think I had a problem. She diagnosed me by sight! One smart lady doctor. This was 5 years ago following chemotherapy with interferon and ribavirin which does cause DNA damage and is also known to cause Hashimoto"s disease so probably not such a big surprise in retrospect. I won"t pretend that getting used to taking thyroxine has been plain sailing, but, and it is a big but, I find for me several factors help. 1) I keep my thyroxine in the fridge so it doesn"t deteriorate. 2) I go to the gym three times a week to keep fit and healthy plus eat clean, no junk food otherwise I feel sluggish. We are what we eat and you wouldn"t put 2 star in a high performance car so why do it to yourself. 3) I take my dose last thing at night so my stomach has a chance to be empty. 4) Regular blood work twice a year to ensure you are on an even keel but most people will know from their skin and hair how they are doing. 5) Take responsibility for your own health people, check your blood pressure and cholesterol levels don"t wait to be asked, be proactive it is your health. I thank that doctor for being alert but it is up to me to take care of business. This regime works for me but I wouldn"t force this on others. I have just recently started having a tingling in the left side of my neck. I am tired a lot, I itch all the time. I have migraines. My hear races then returns to normal. I am off balance, feel like I want to faint, but I don"t. I am depressed a lot lately and I feel hypotension, and anxiety. I am 59 years old and this is new to me. I was diagnosed with Hashimoto's Thyroiditis a year ago and finally went to an endocrinologist, something that I should have done from the start. My birthmother, her mom, and two siblings have it and I was tested twice over the course of two years and was diagnosed the second time I was tested. 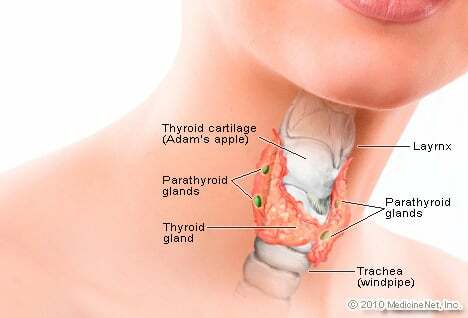 Thyroid disease is something I urge all women to test for, even if they don't have a history of it in their family.